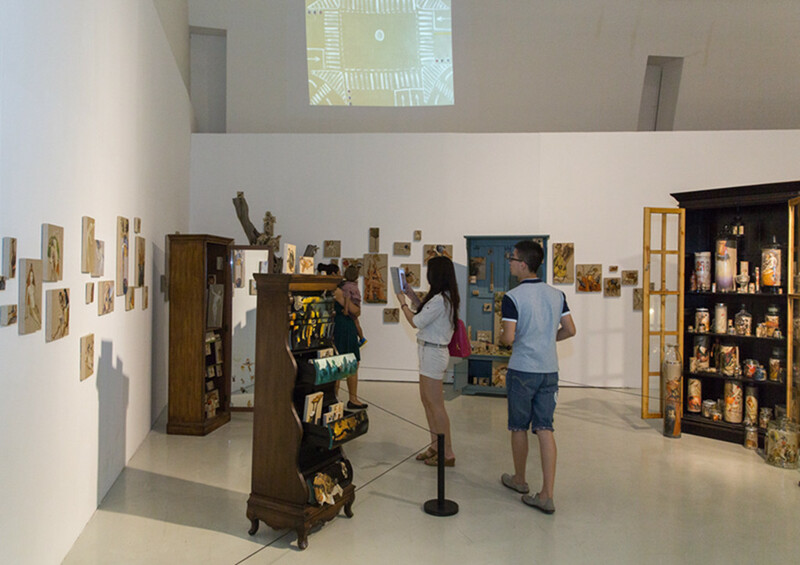 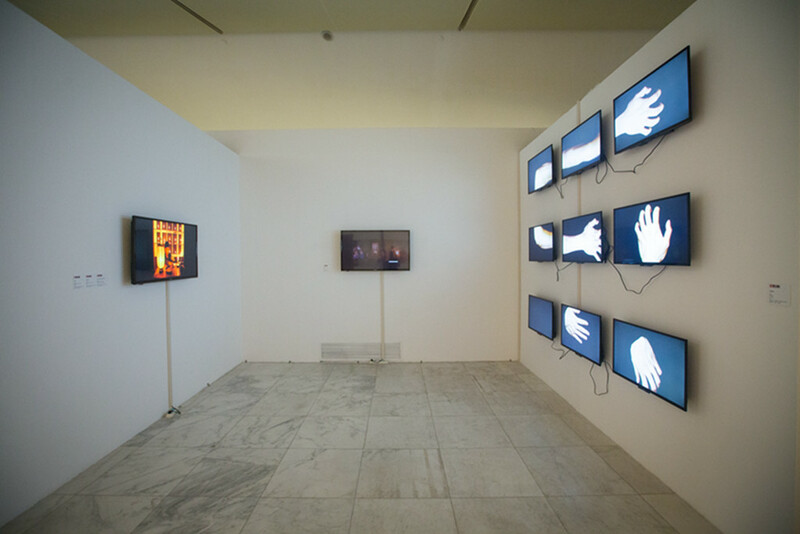 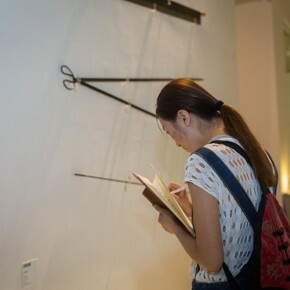 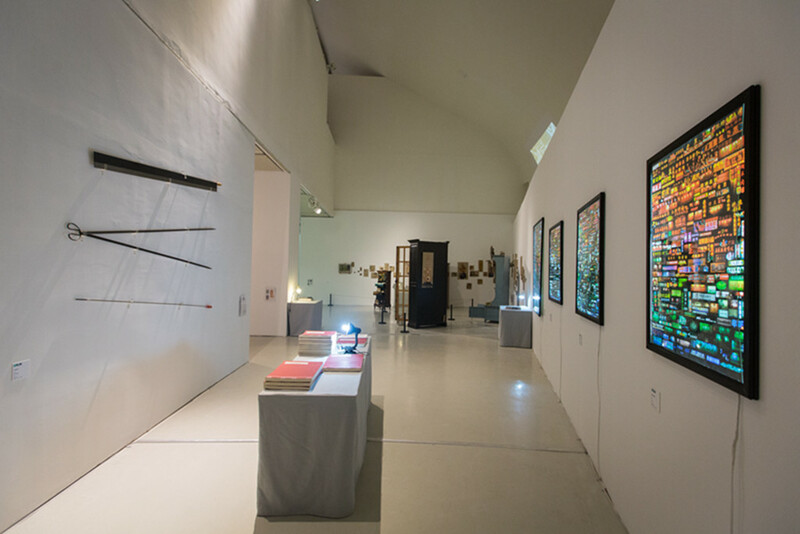 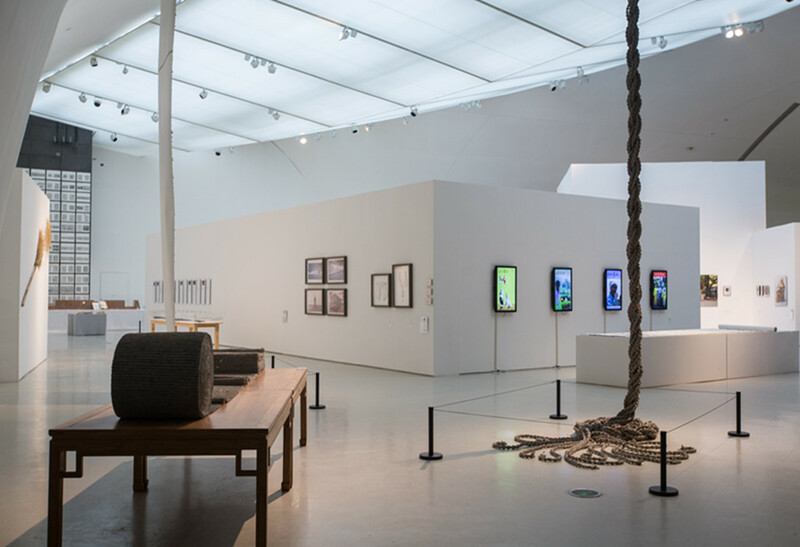 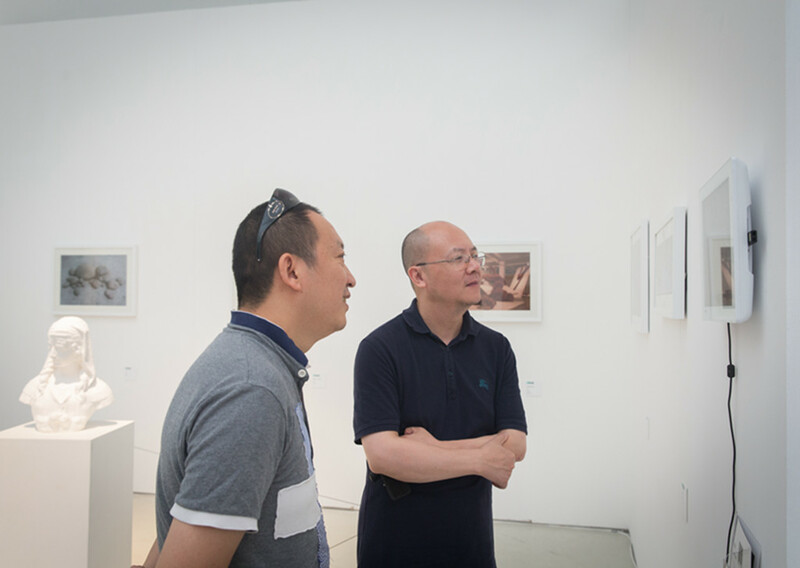 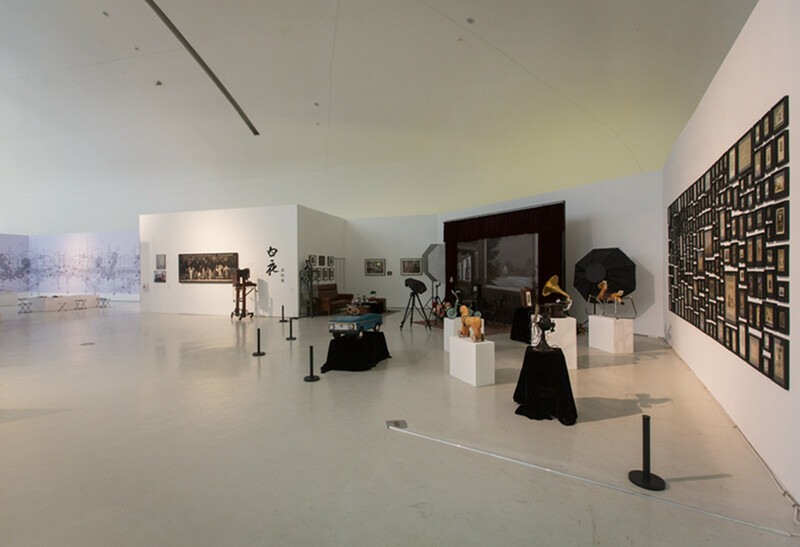 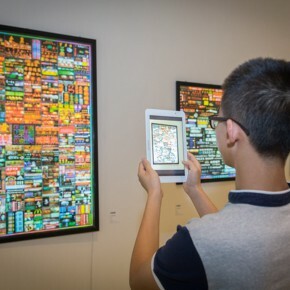 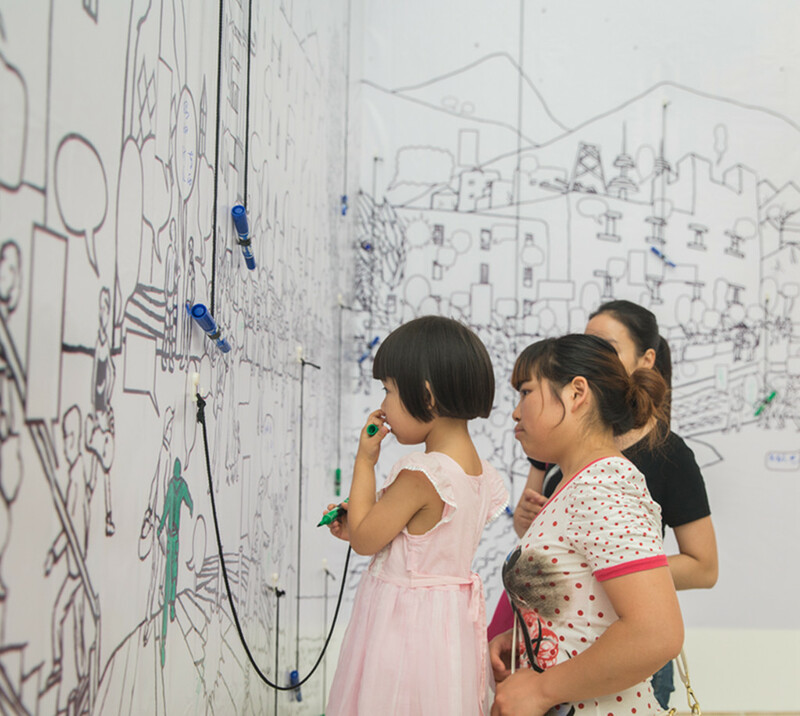 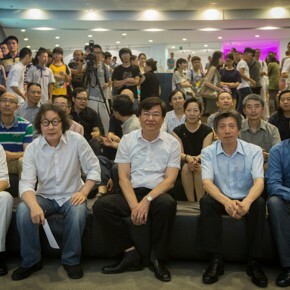 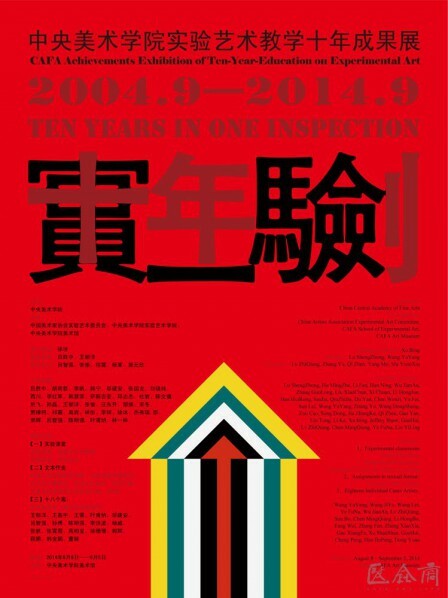 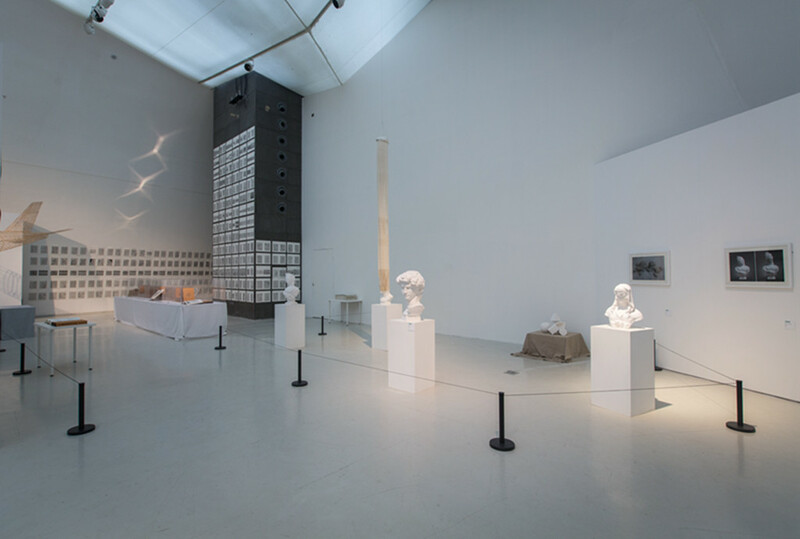 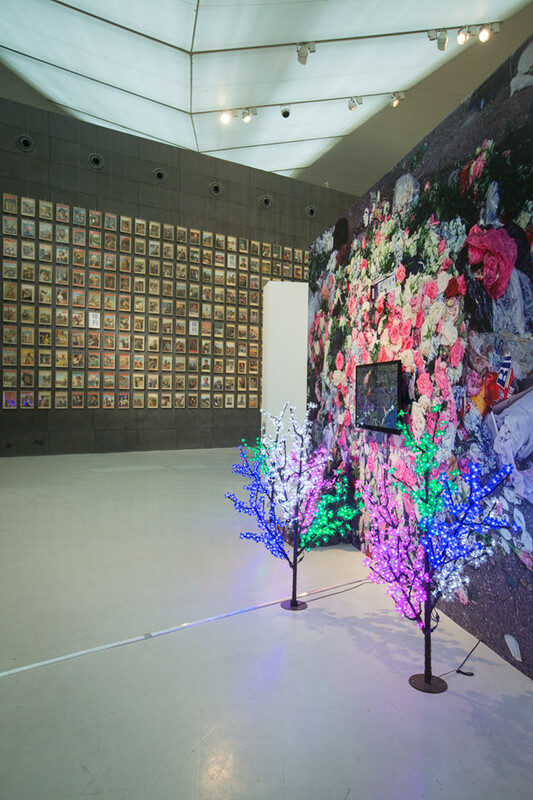 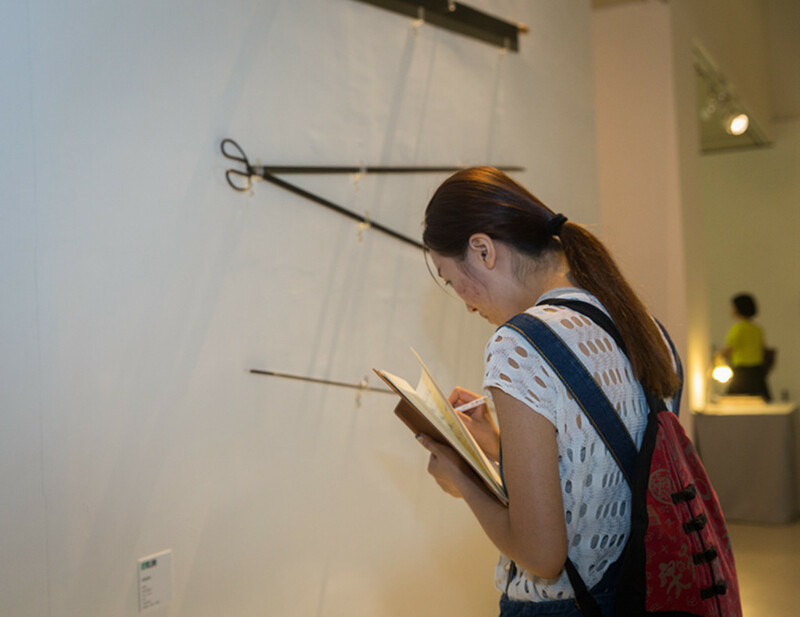 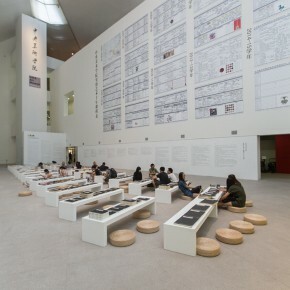 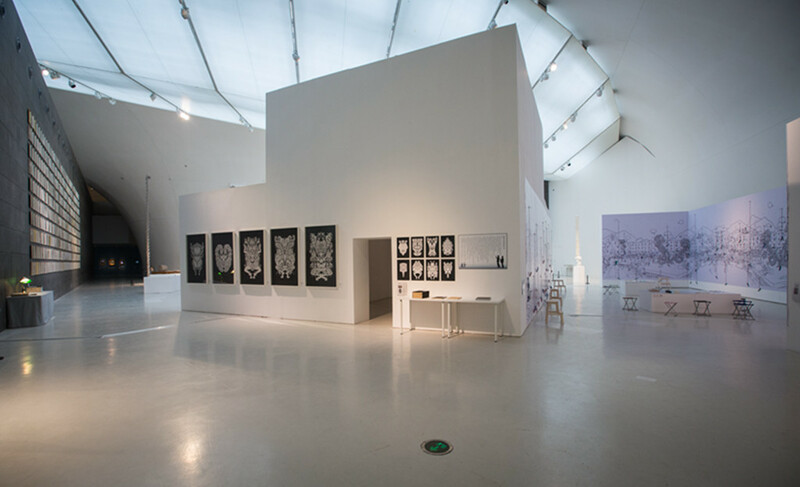 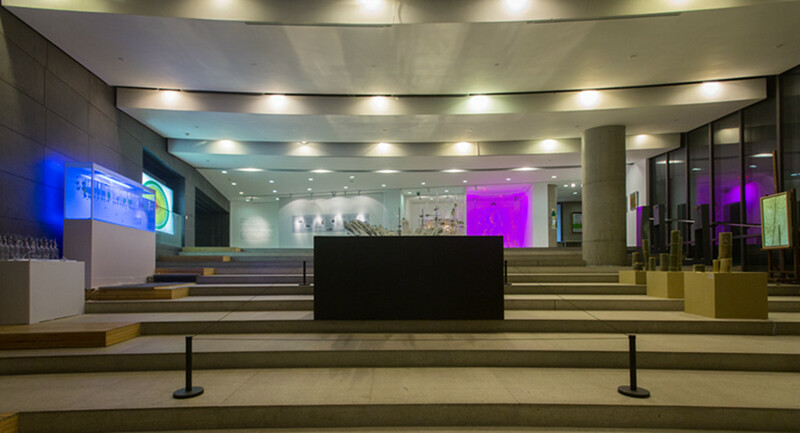 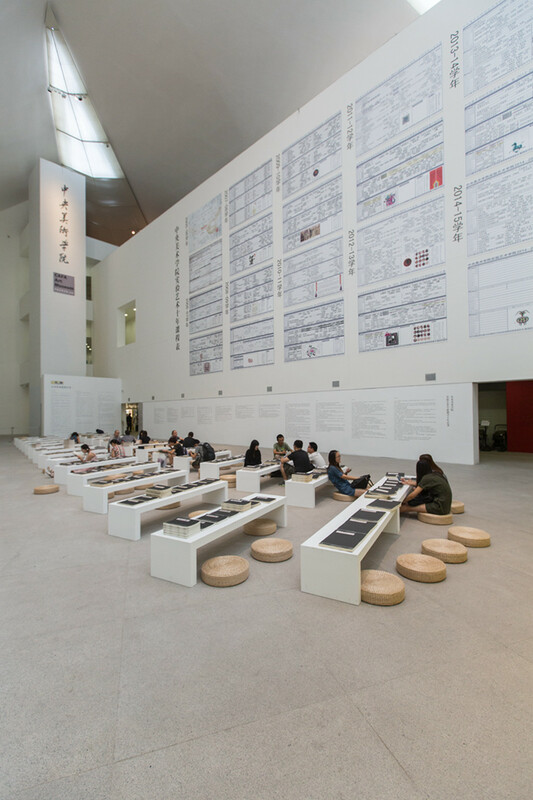 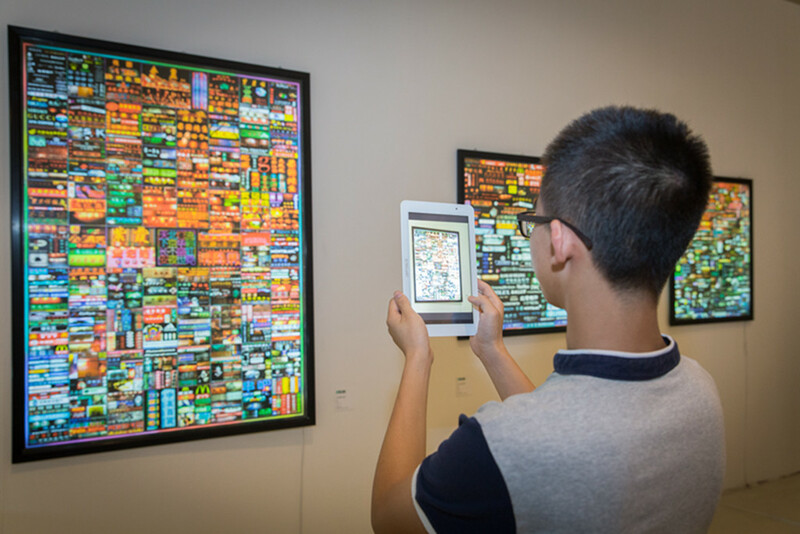 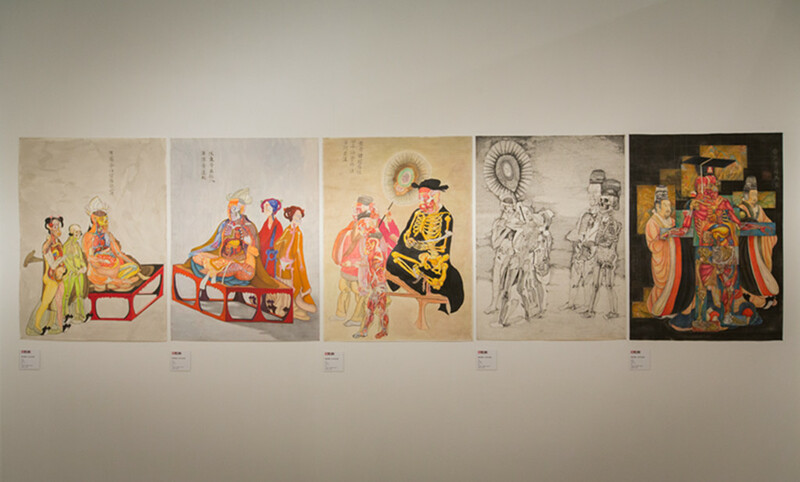 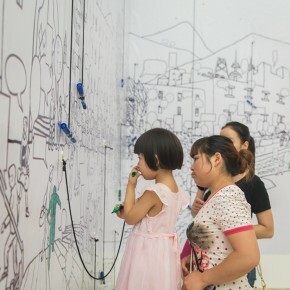 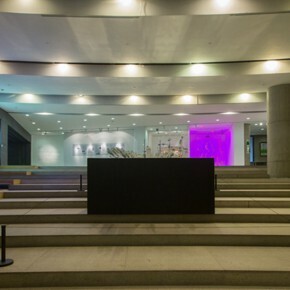 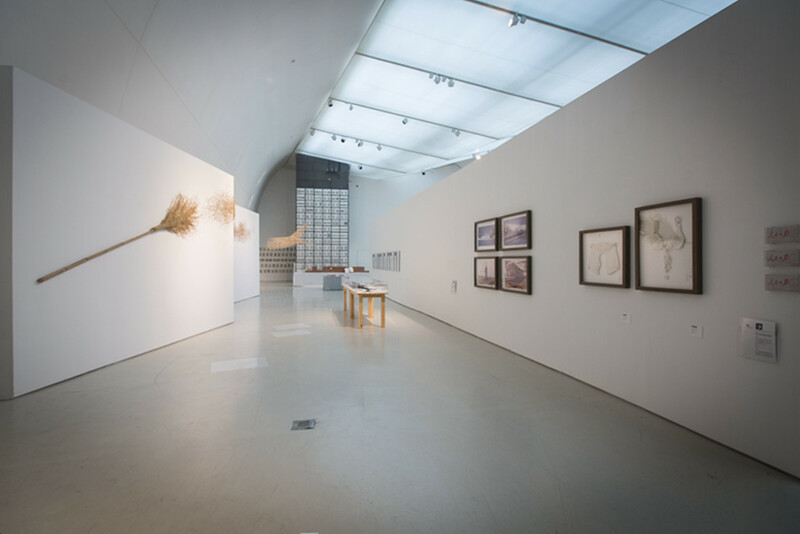 From August 8 to September 5, 2014, “Ten Years in One Inspection – CAFA Achievements Exhibition on the Ten-Year-Education on Experimental Art” is on view in CAFA Art Museum. 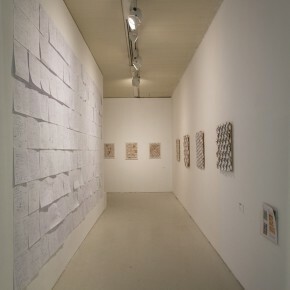 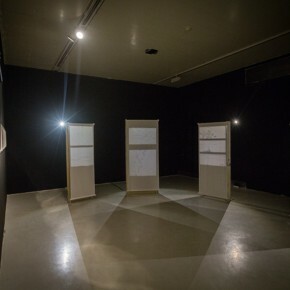 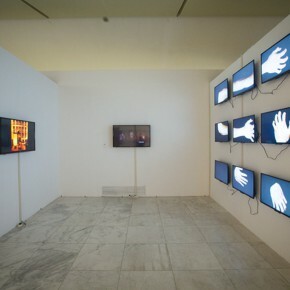 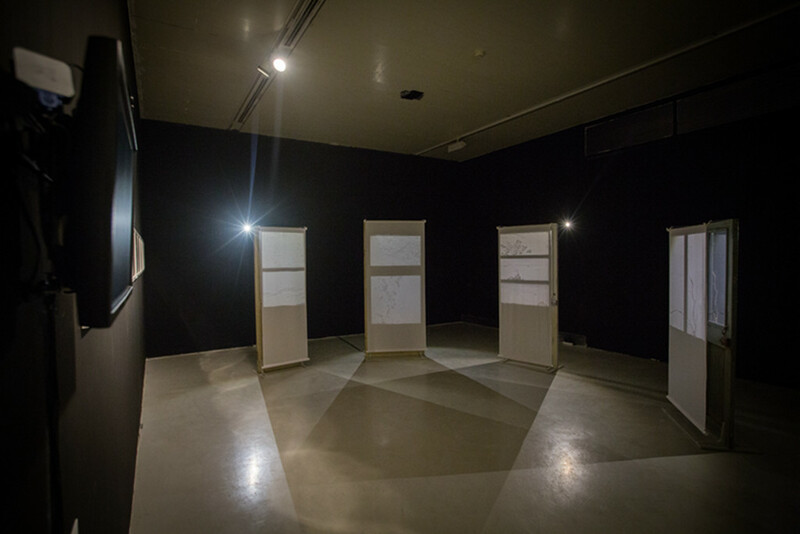 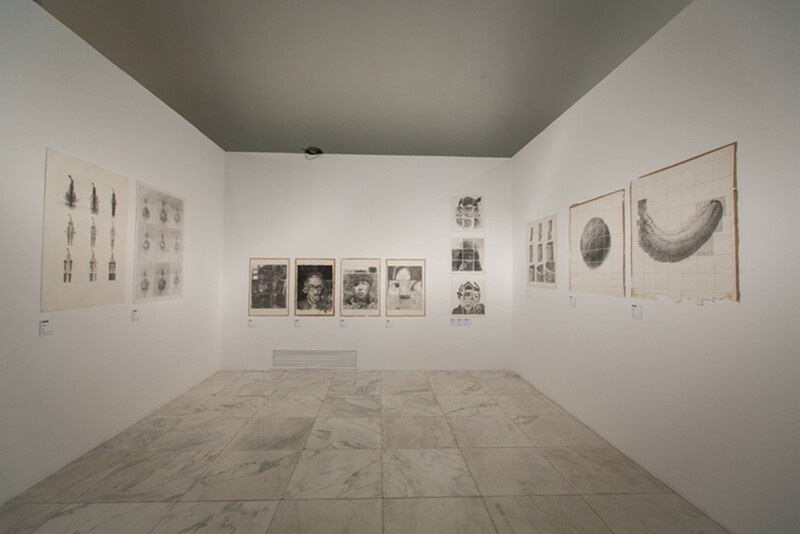 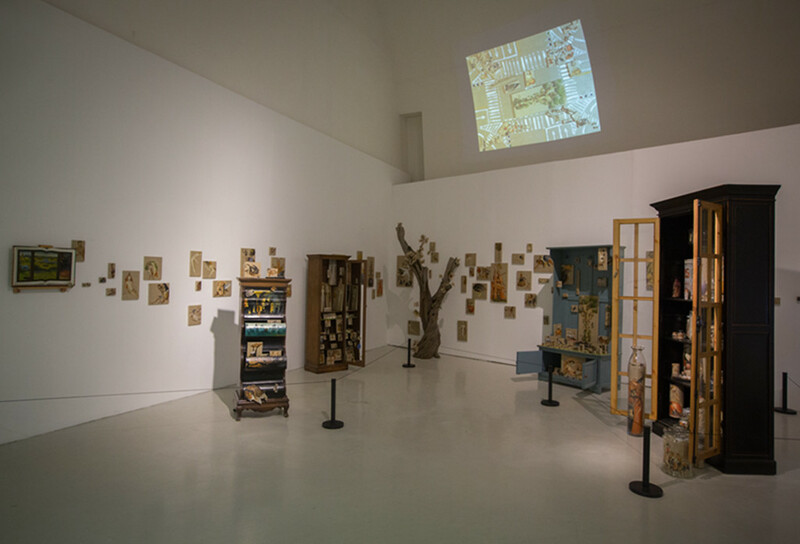 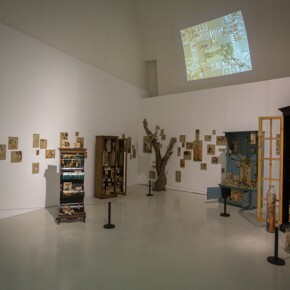 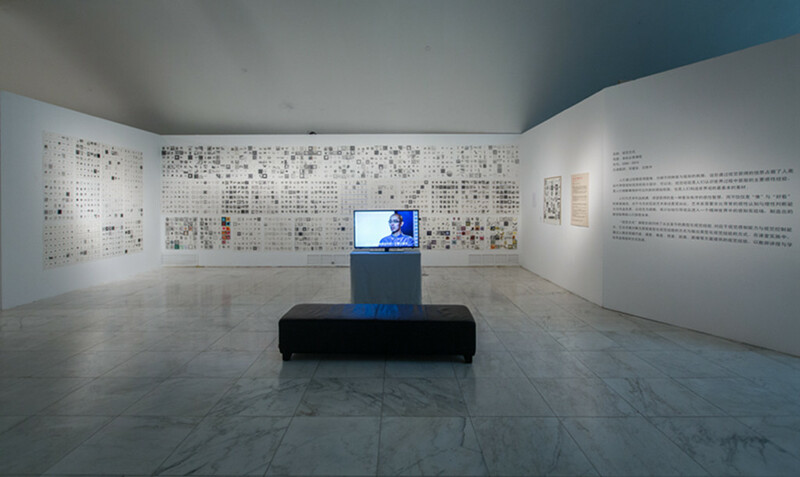 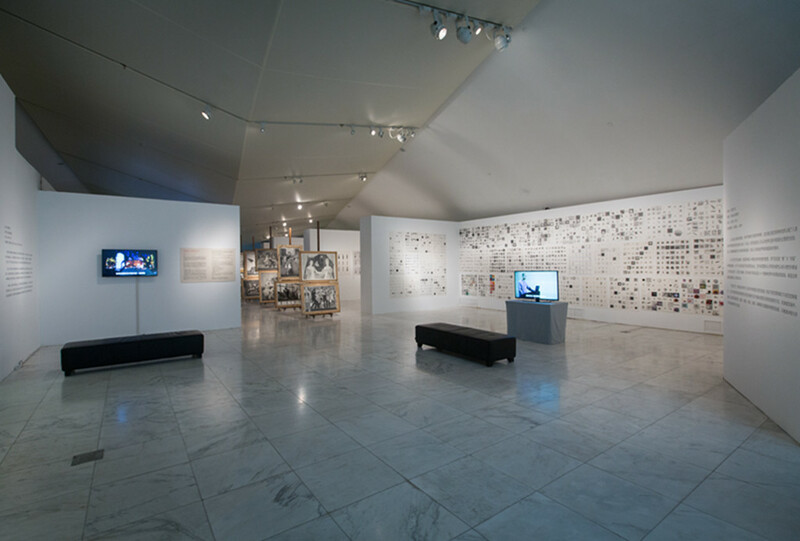 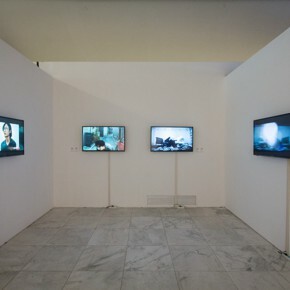 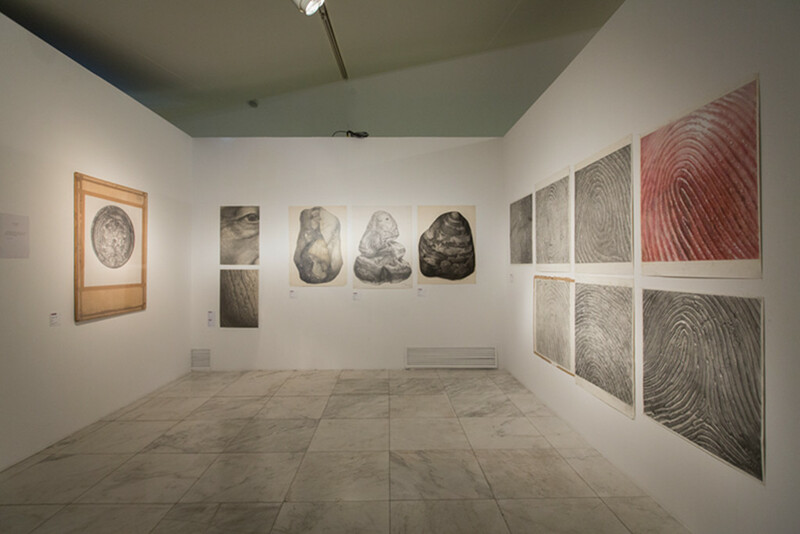 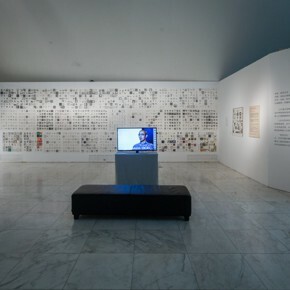 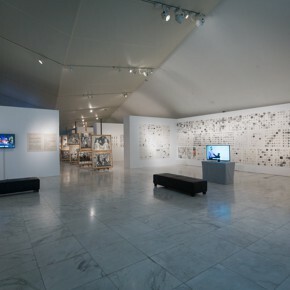 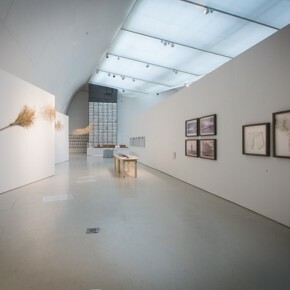 The exhibition is divided into three parts: the experimental classes, text assignments, and 18 cases. 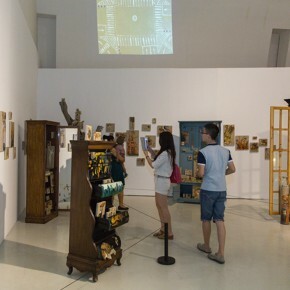 During the period, it will hold the “National Experimental Art Teaching Gathering” and “Opening Ceremony of the Founding of the School of Experimental Art”. 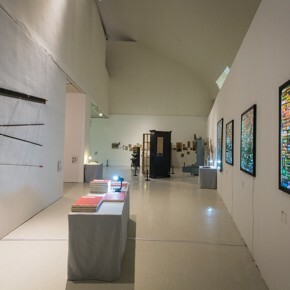 “Experimental art” is an effective way of thinking and a working method in Western art to break through the tradition and create a new art, as an universal experience of diversified international artistic forms and innovative promotion, as has been the case with the educational system of mainstream Western contemporary art. 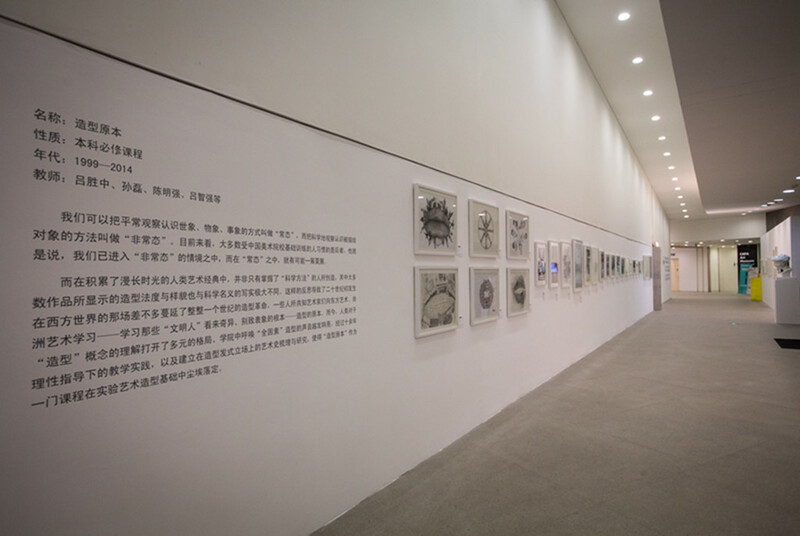 CAFA doesn’t fully construct itself according to the Western contemporary art educational model, nor does it advocate the use of “experimental art” or “experimental” teaching to replace or negate the outstanding teaching tradition formed in the last 100 years. 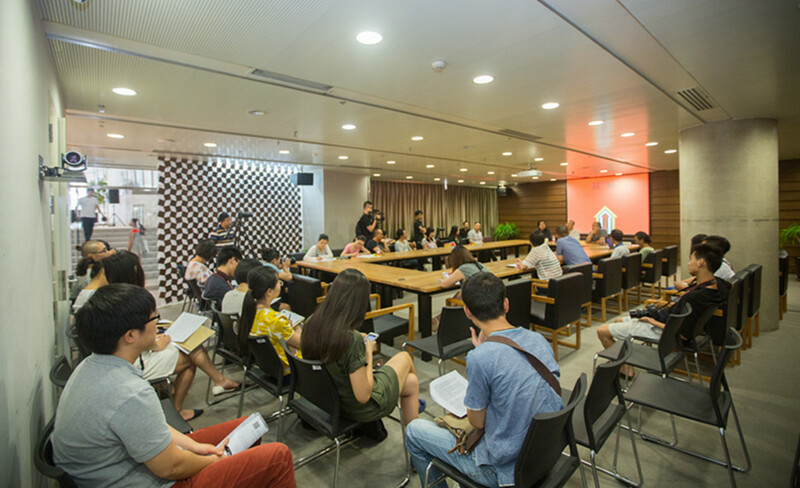 Therefore, “experimental art” will be the first to bear the missed content of the original disciplinary divisions, built to be a special teaching section, to develop the overall features of contemporary academic art education. 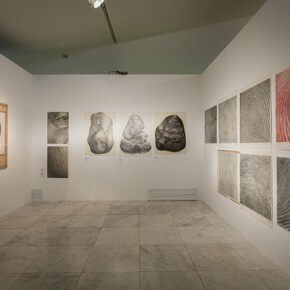 Different from the artistic type of “fine arts” whose nature is determined by tools, material, technology and the style of formation, “experimental art” is a professional discipline with an artistic working method that determines the nature, namely taking the valuable themed thought as the premise of expression, to seek the appropriate artistic pattern and carrier of language, to eventually finish with the presentation of material to promote artworks to the public and society. 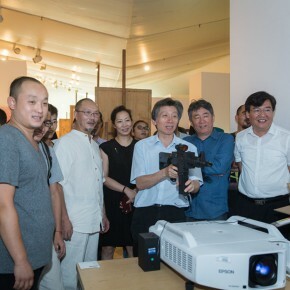 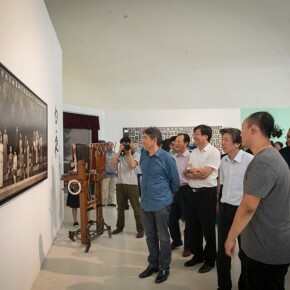 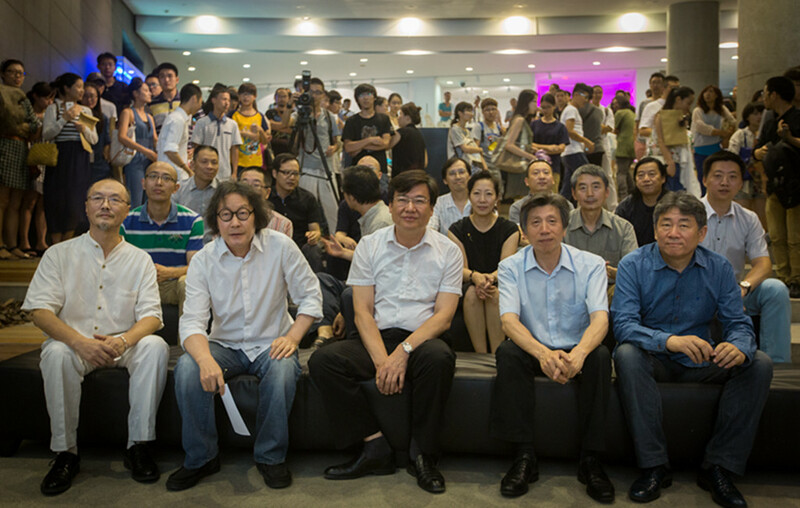 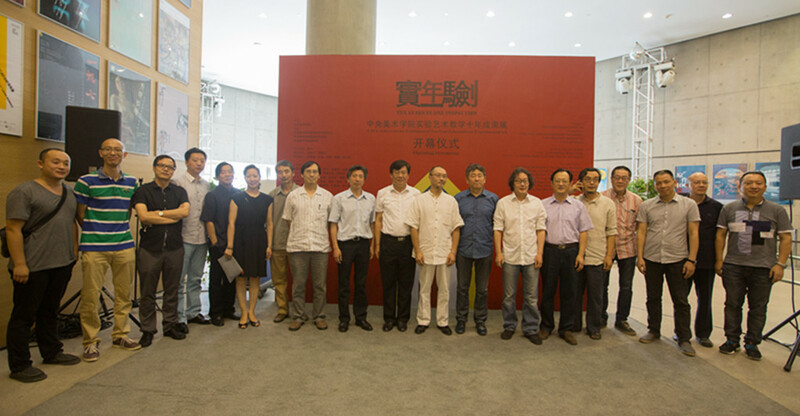 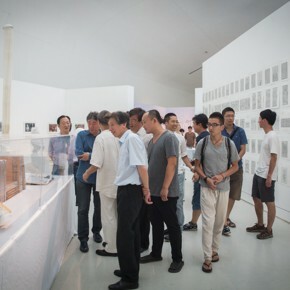 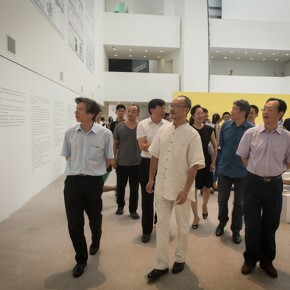 The opening of the exhibition was presided over by Xu Bing, Vice President of CAFA, Party Secretary Gao Hong, former Party Secretary Yang Li, Deputy Party Secretary Sun Hongpei, Fan Di’an, Director of National Art Museum of China, Tan Ping, Vice President of China, directors of various departments such as Sui Jianguo and Gao Tianxiong, Wang Huangsheng, Director of CAFA Art Museum, Wang Xiaolin, Director of the Department of Educational Administration, and artists such as Miao Xiaochun and Zhang Xiaotao attended the opening ceremony. 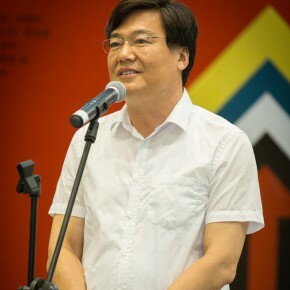 Party Secretary Gao Hong said in the opening ceremony that, the creation and development of the experimental art discipline actually continues the developing context of Chinese higher art educational exploration and practice, and also adapts to the trend of Chinese social cultural development since the reform and opening up, marking the multivariate development and innovation of Chinese higher education. 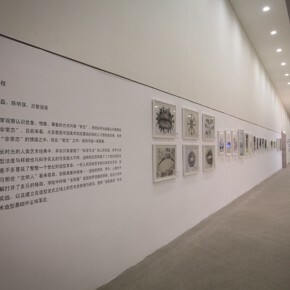 “Ten Years In One Inspection – CAFA Achievements Exhibition of Ten-Years-Education in Experimental Art” displayed four aspects: firstly it showcased the developing history of experimental art discipline; secondly showcased the constantly improving academic standard and not only paid attention to the developing trend of the world of contemporary art, but also focused on the use of the excellent national cultures of the new era; thirdly showcased our teaching achievements, creating a universal and distinctive teaching syllabus and teaching system; fourthly showcased a sense of responsibility from the teachers and students. 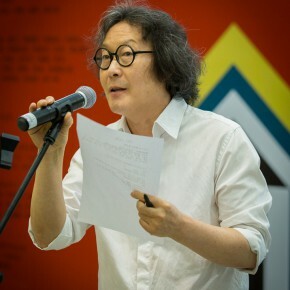 Director Fan Di’an who was once involved in naming the experimental art discipline, addressed the audience in his speech, the ten-year development of the experimental art discipline, starting from the initial teaching responsibility and the exploration to the exhibition of the current teaching achievements, which was not only the expansion of the teaching of CAFA, but also an important witness and contribution to the development of Chinese contemporary visual art. 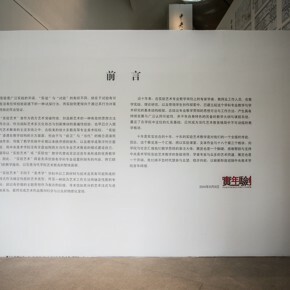 Like the name on the poster, experimental art was possible through a variety of interpretations, and is seen from a variety of perspectives which also encouraged the possibility of diversified development. 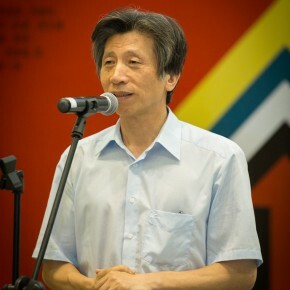 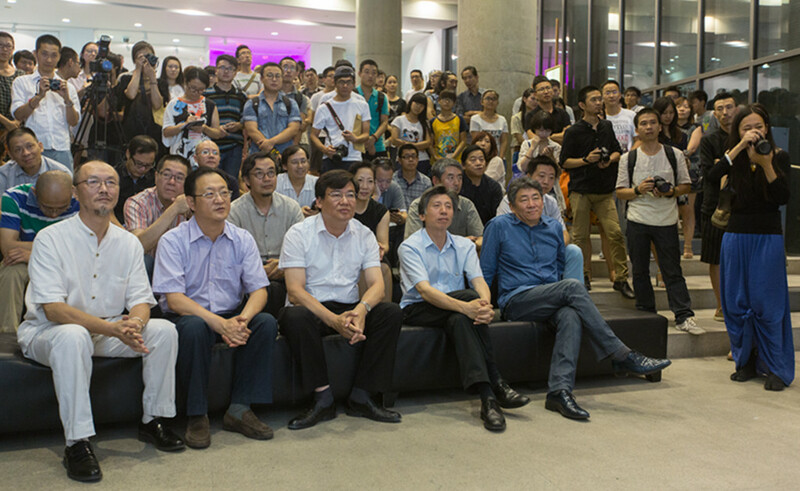 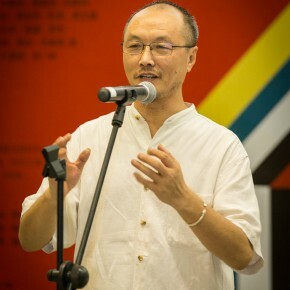 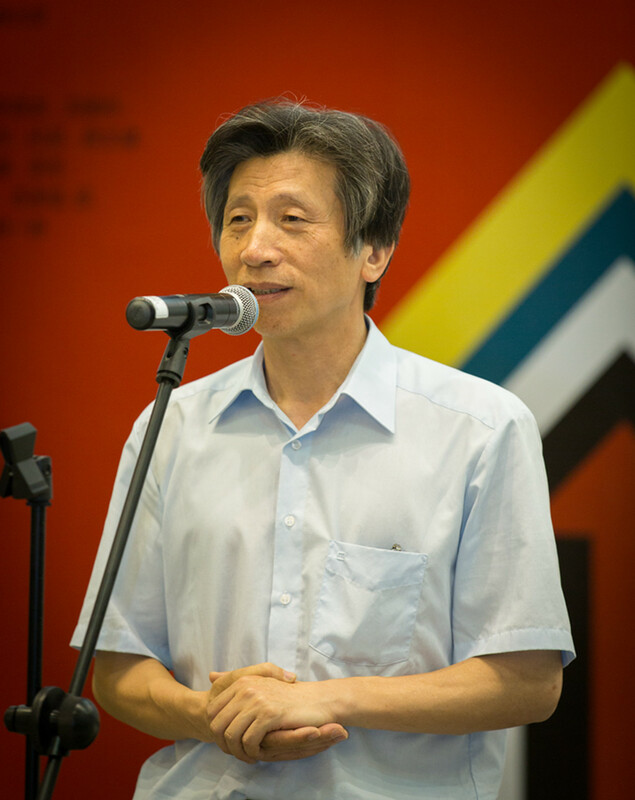 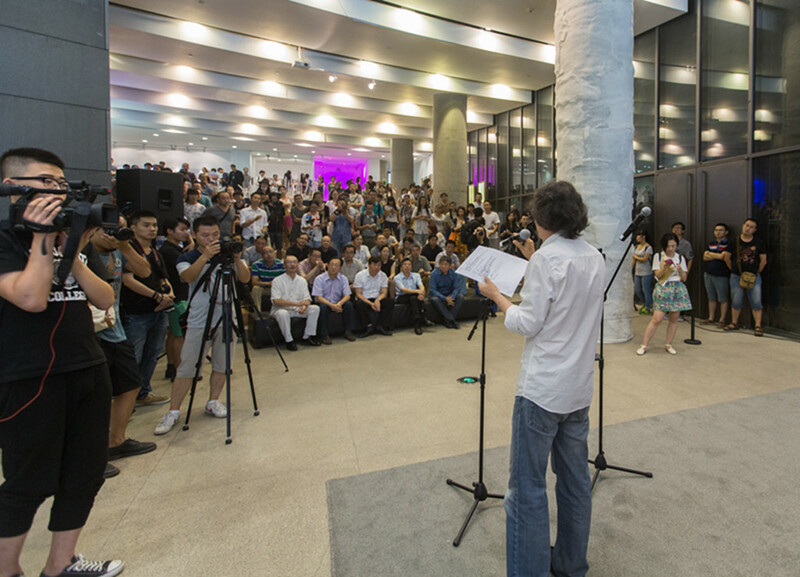 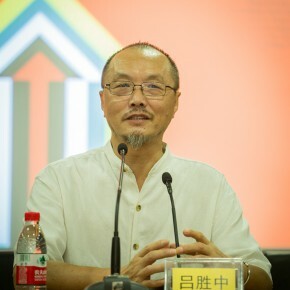 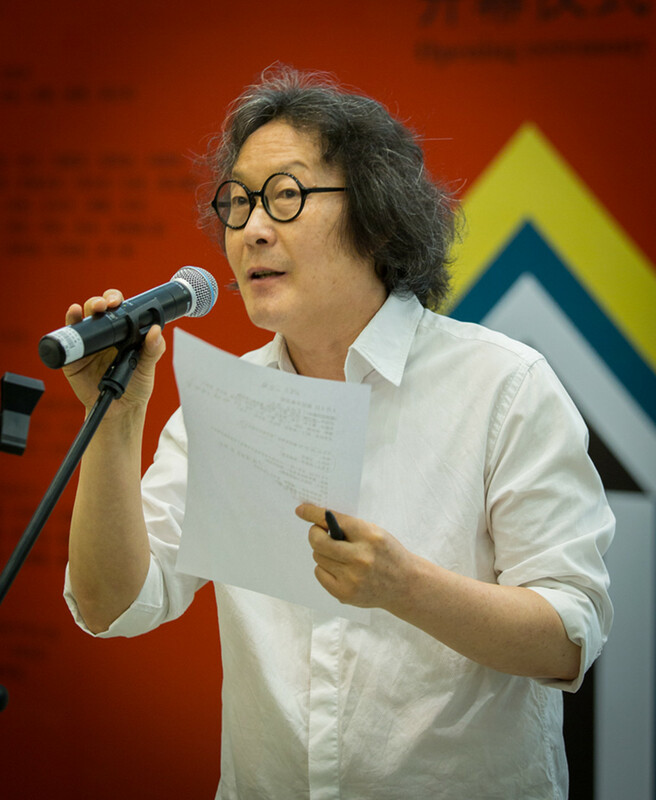 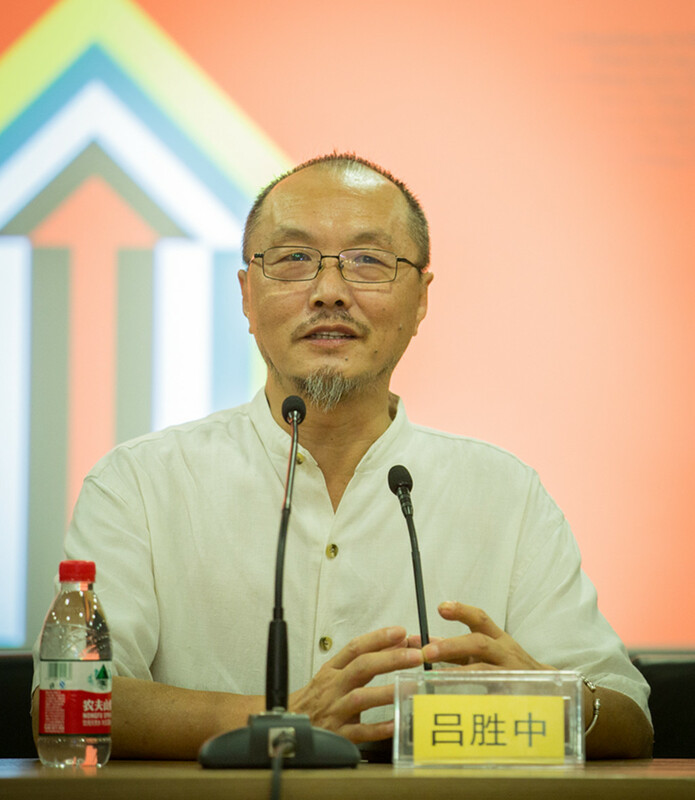 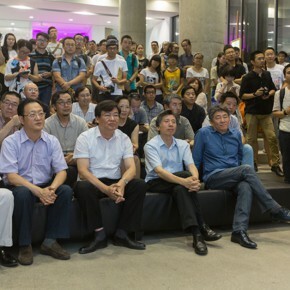 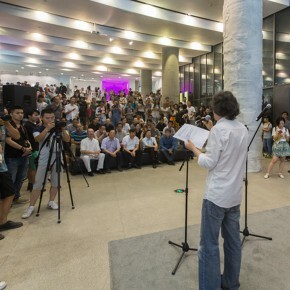 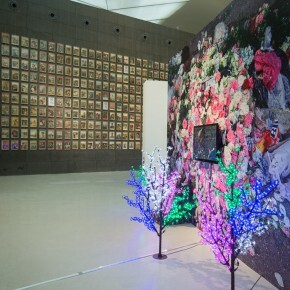 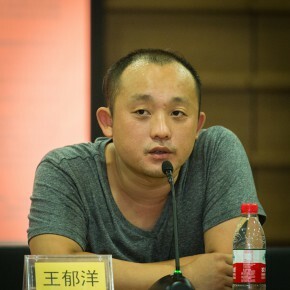 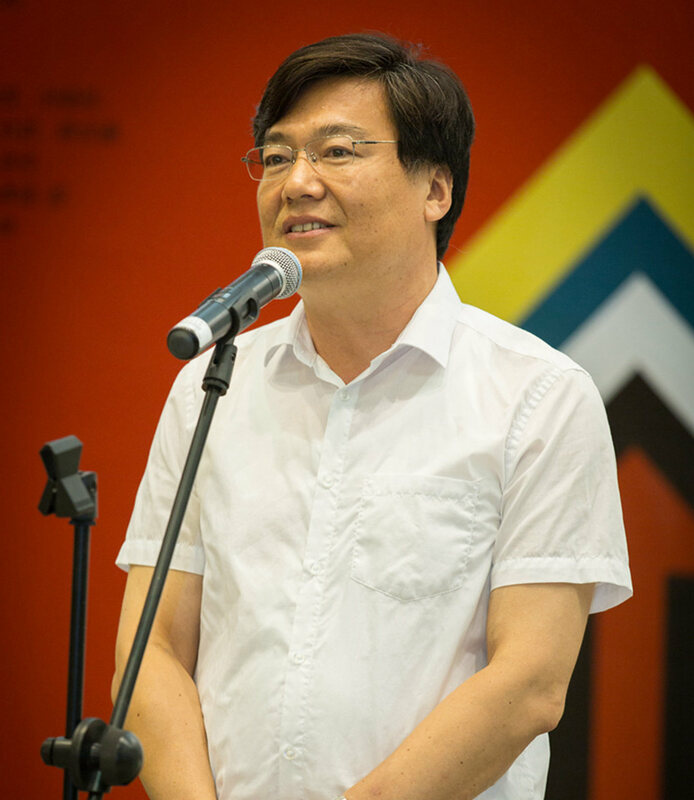 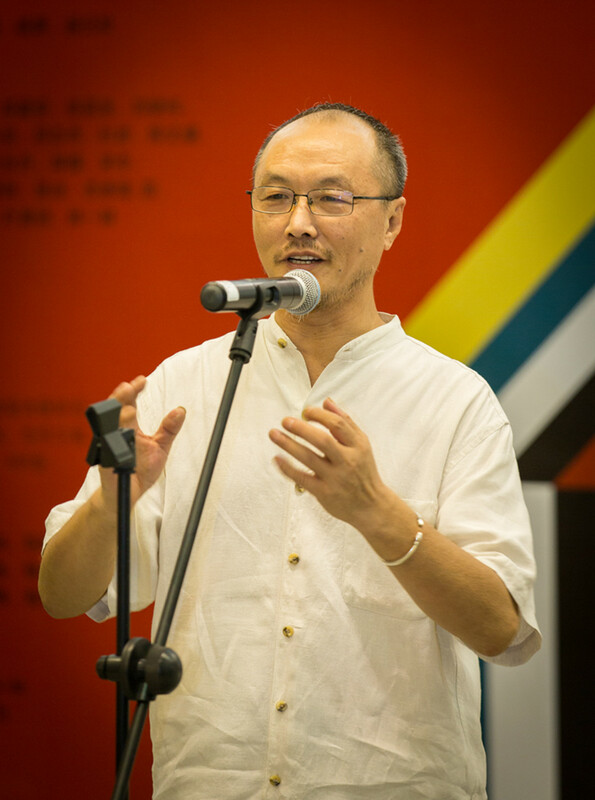 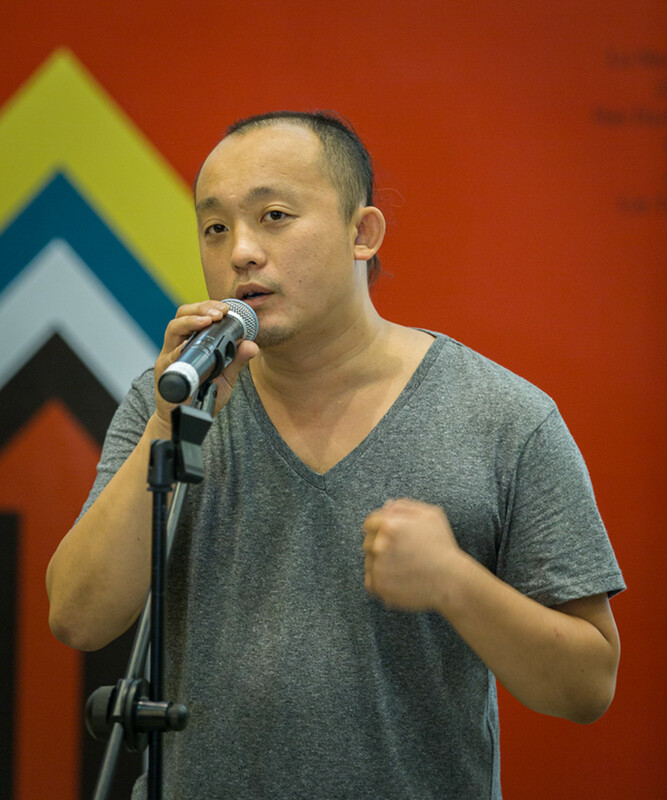 At the opening ceremony, Lv Shengzhong was full of emotion when he said, he was pressured by the exhibition, starting from the preparation of the Studio of Experimental Art, to formally establishing the Department of Experimental Art, as well as the founding of the School of Experimental Art. 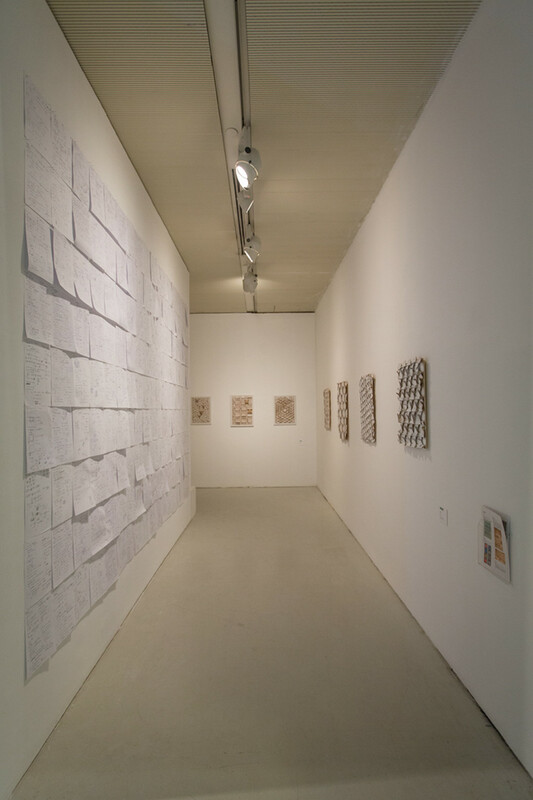 It was a real decade with the combing through and summarizing of “Ten Years In One Inspection”, it integrated the gratitude of the teachers and students in the experimental art discipline to the academy and society from all walks of life. 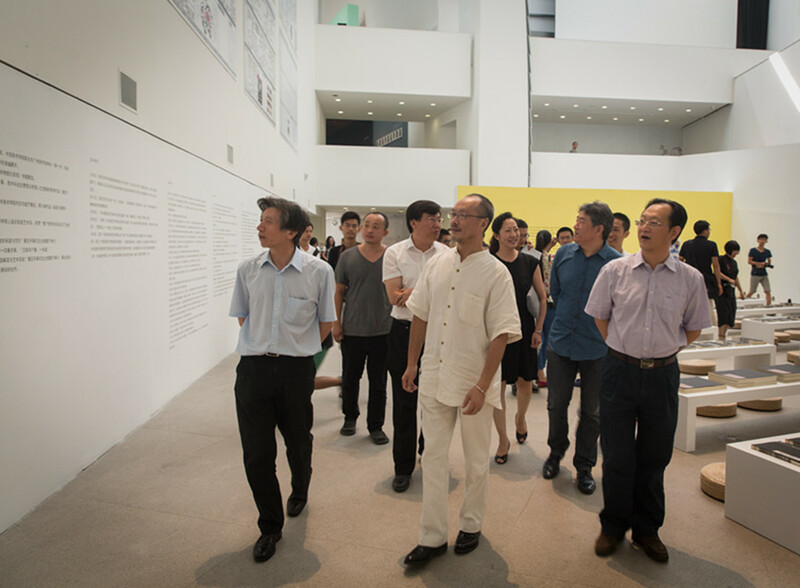 Thanks for the help and support from the leaders on all levels, scholars, experts and many art fellows. 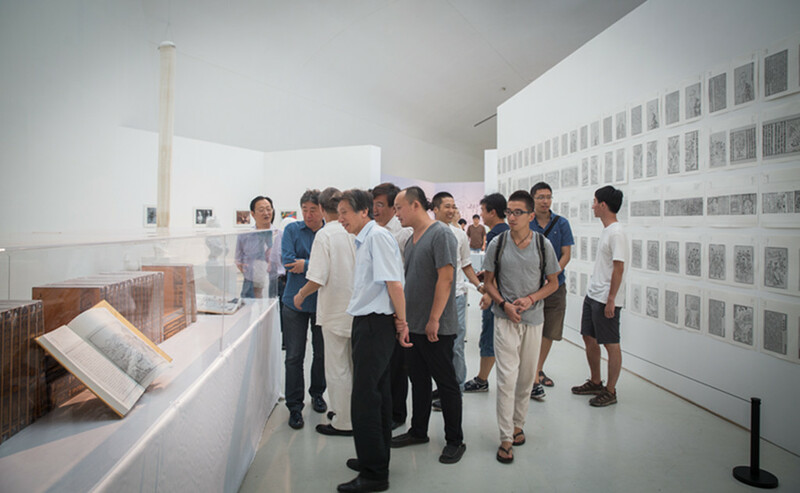 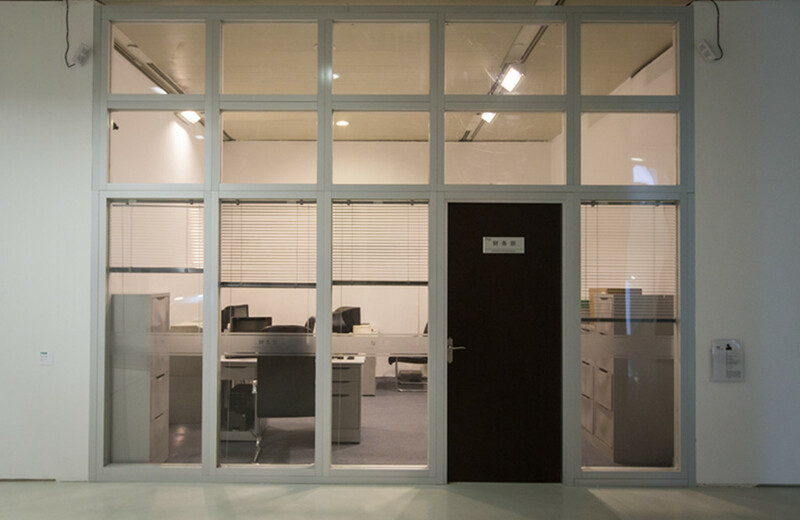 The exhibition is a start, and we would not fail in the mission of this era and people’s expectation, instead steadily walk forward, using a new feature to meet the brilliant hundred years of CAFA. 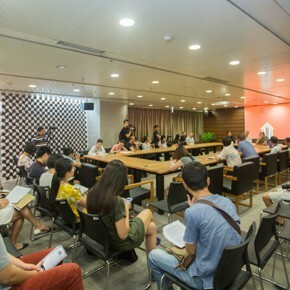 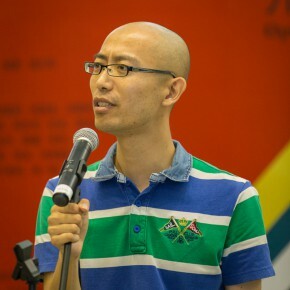 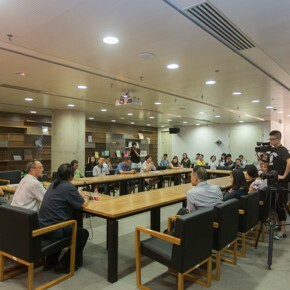 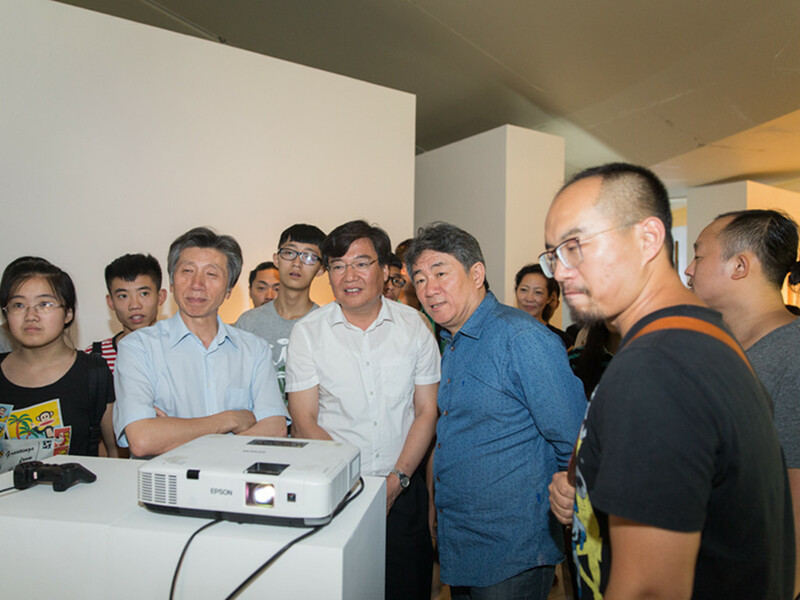 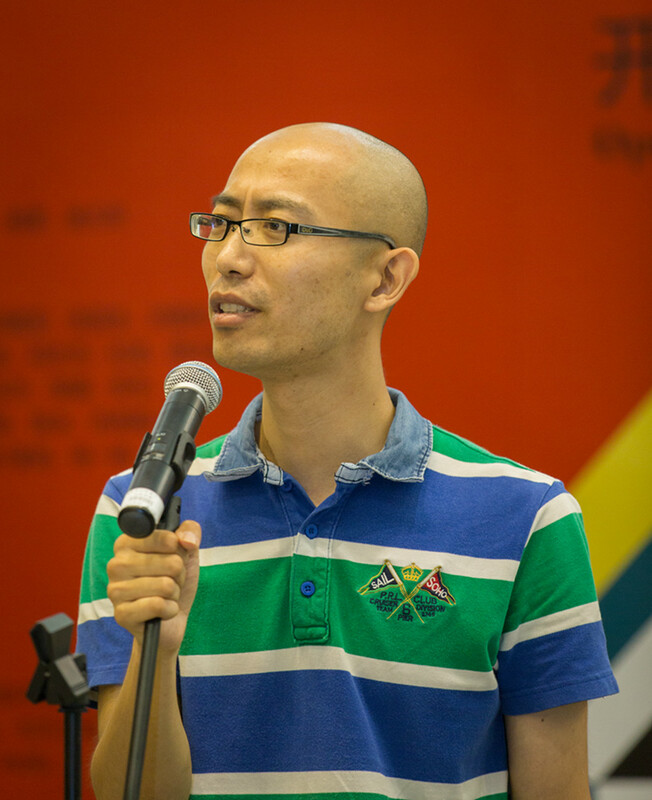 Teachers’ representative Wu Jian’an talked about his feeling of involvement in the teaching of experimental art, starting from the initial uncertainty to the present superiority, the teaching ideas and teaching outline of experimental art was proved in practice. 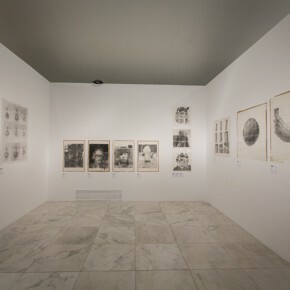 He believed that experimental art was more consistent with the developing trends and direction, while it made him feel there is a bigger challenge, when a large number of art masters who had been previously worshiped were presently facing the same issue as us, we were full of anxiety and uncertainty when initially engaging in experimental art. 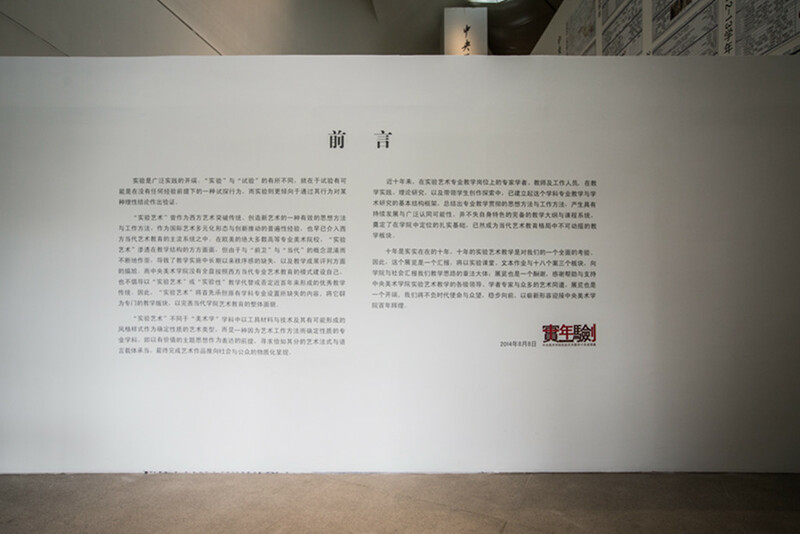 It was also because of this, experimental art would bring a positive future to the development of Chinese contemporary art. 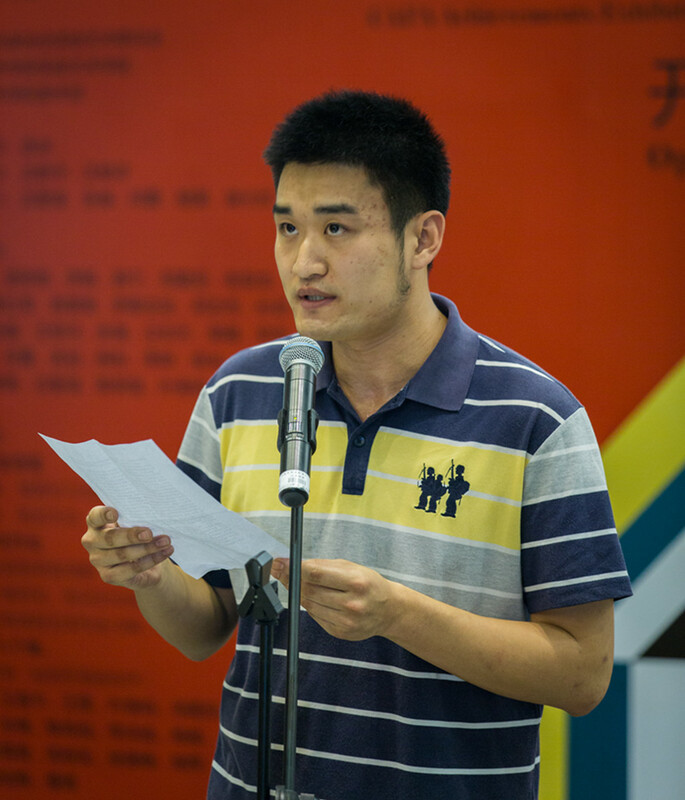 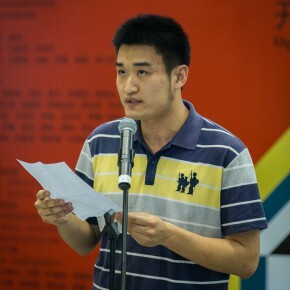 At last, students’ representative Wang Yi shared his experience of study in the Department of Experimental Art. 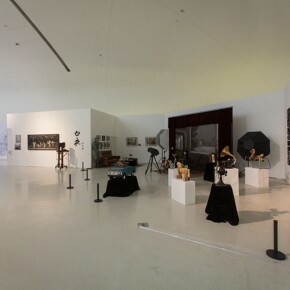 Modesty, prudence and perfectly finishing a work were the demands of the teachers of the Department of Experimental Art. 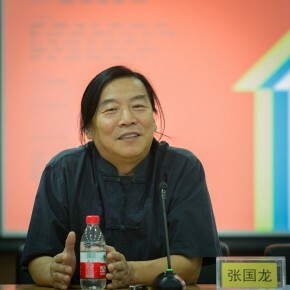 The rich disciplinary divisions, unique ways of teaching, a combination of theory and practice, benefited him a lot, so that he didn’t only widen his vision, exercise his ability in research, but also made him a serious and responsible person with the right attitude. 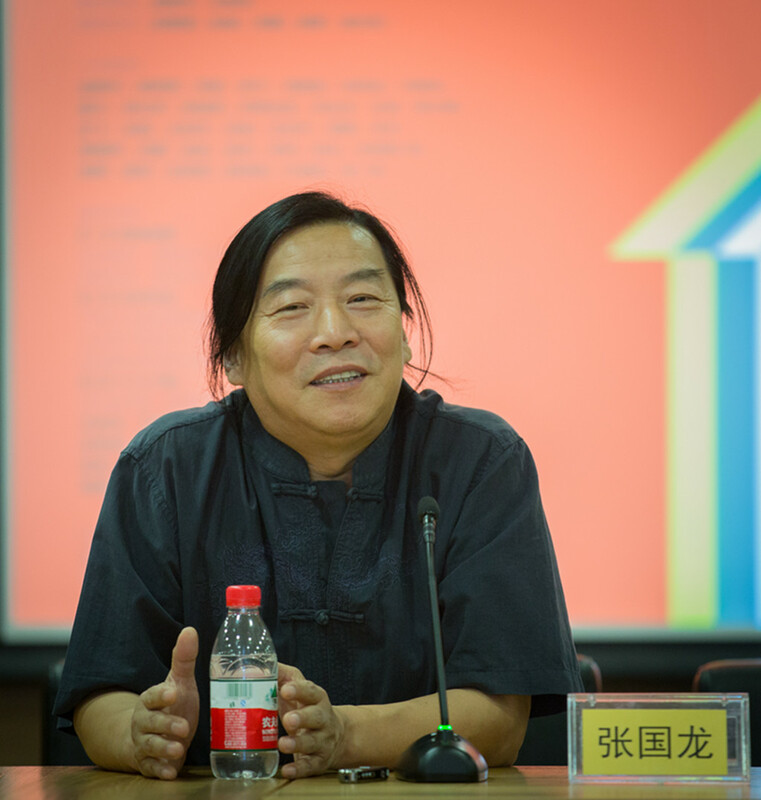 He was proud to be a member of the experimental art department, he wanted to continue to carry forward the spirit of experimental art, and to explore his future path. 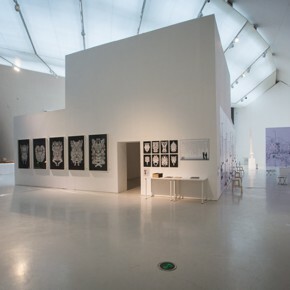 The exhibition is divided into three parts: the Experimental Classes, Text Assignments, and 18 Cases. 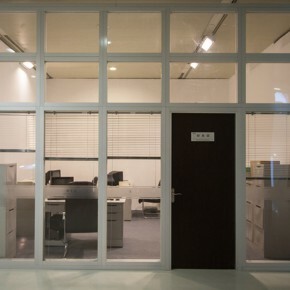 The principles of classroom teaching include: first of all, the premise for work practice which is perceptual knowledge and rational verification methodology, instead of the established concept leading to a final result; secondly, focusing on a valuable self artistic expressive proposition, to seek an appropriate form of media and language of technology; thirdly, all courses are not only craft training, while the students should firstly adapt the work habit of mutual cooperation and the collaboration of mind, eyes and hands, and thinking, seeing, and doing; fourthly, approaching art from the visual angle of sociology and then pay attention and feedback to society, advocating the art direction extensively by contacting people, being worldly. 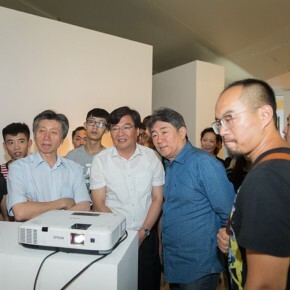 Teachers of Experimental art are very dedicated, in the ten years, those successively taking part in the teaching include: Lu Shengzhong, Hu Mingzhe, Li Fan, Han Ning, Wu Jianan, Zhang Guolong, Liu Xiaochun, Xi Chuan, Li Hongjun, Han Huirong, Sasijiya, Qiu Zhijie, Du Yan, Chen Wenji, Yu Fei, Sun Lei, Wang Yuyang, Zhang Yu, Wang Dongsheng, Zou Cao, Song Dong, Jia Zhangke, Qi Zhen, Gao Yan, Lin Tong, Li Ke, Xu Bing, Jeffery Shao, Guo hui, Lv Zhiqiang, Chen Ming Qiang, Yu Funa, Lin Yilin, etc., have been doing their best. 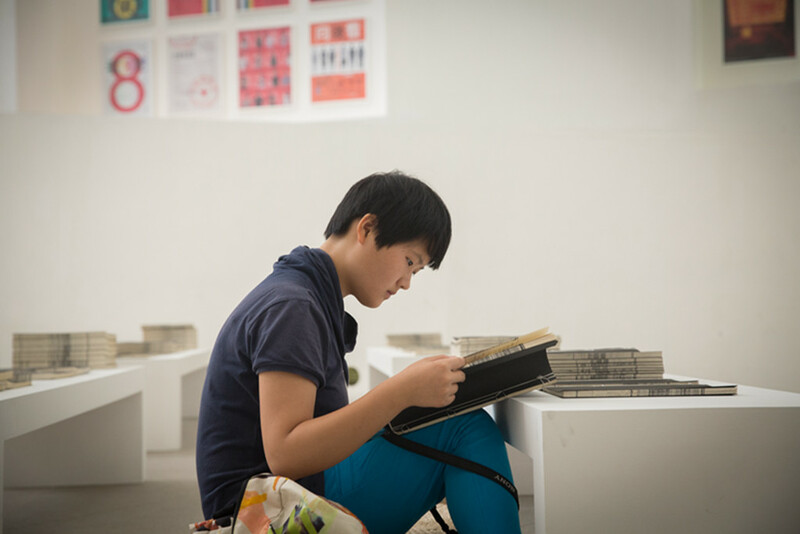 Spiral-bound book is a fixed mode of text assignment from the teaching of the former Experimental Art Studio, Department of Experimental Art has always been continued, on the one hand, it does not need every classmate to spend his or her time to design their own text format, it also facilitates the need to build unified and neat archives; For students, it is a specific form of “materialization” of each person’s assignment result, while the materialized form will ensure strict checks for cracks and flaws, and improve the quality of the text and image, the more delicately this book is done, the more flaws in the content are shown – so that one will more fully understand how to do it next time. 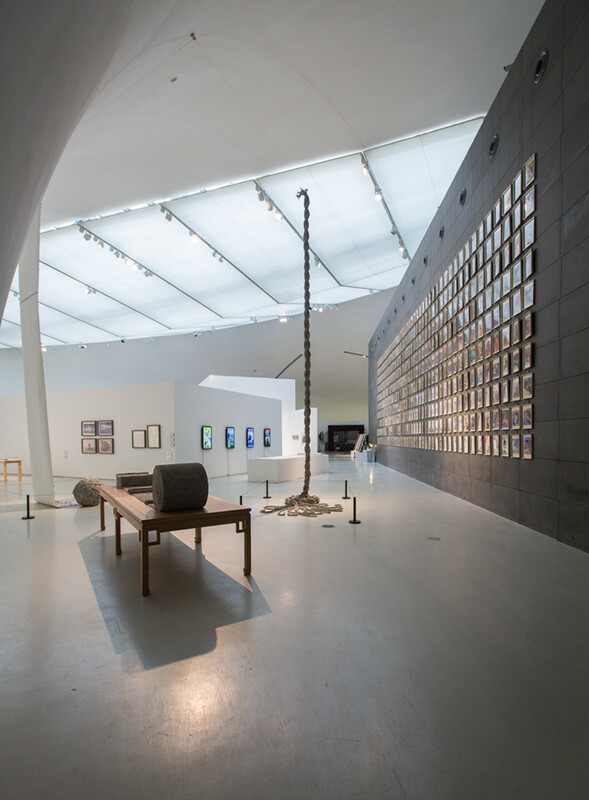 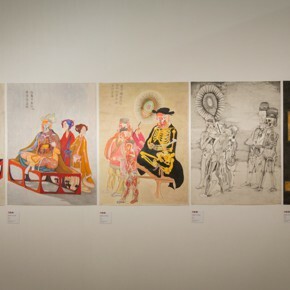 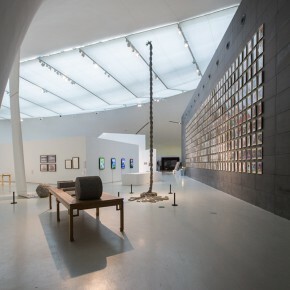 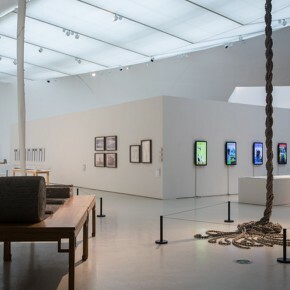 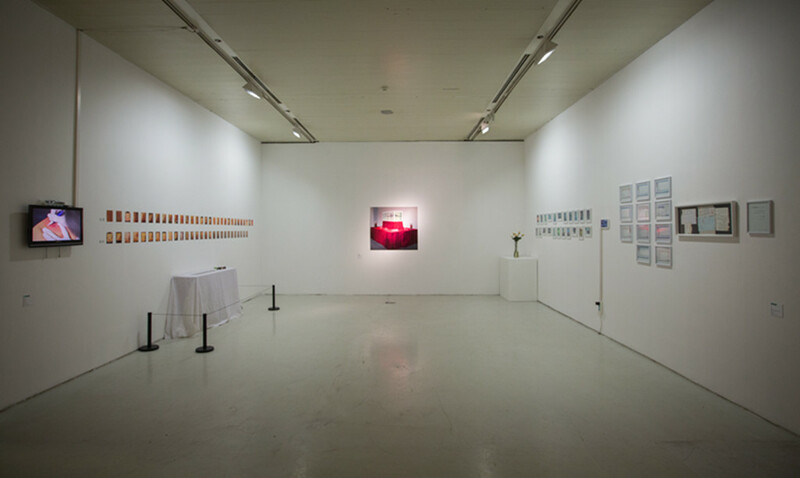 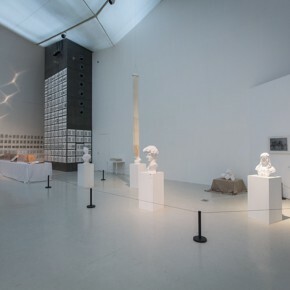 The exhibition selects 18 cases from the graduates of experimental art, according to different works, lives and artistic creations, they are (by last name stroke) Wang Yuyang, Wang Jiyu, Wang Lei, Ye Funa, Wu Jianan, Lv Zhiqiang, Sun Bo, Chen Mingqiang, Li Hongbo, Yang Wei, Zhang Fan, Zhang Xiaoxia, Gao Xiangfa, Xu Shanshan, Guo Hui, Cheng Peng, Han Jinpeng, Dong Yuan, through their shapes and shadows, trying to present the spectators with an all-around on-the-spot reporting landscape of the cause and effect of experimental art teaching. 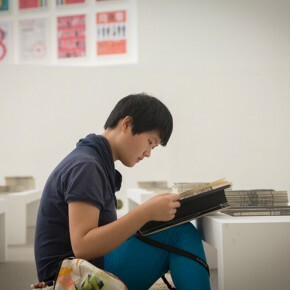 The common thread for our students is their hard work in academic research, which they have used to base their ability in rational thinking, and can use artistic talent, or their own ways to continuously burst out valuable and meaningful sparks of thought. 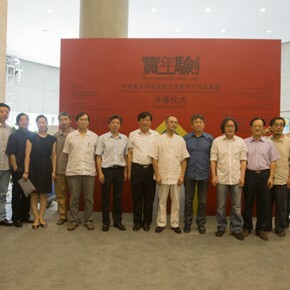 Translated by by Chen Peihua and edited by Sue/CAFA ART INFO. 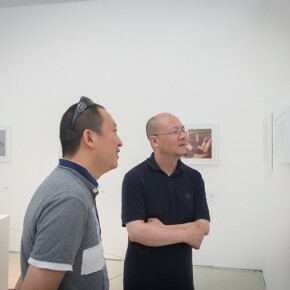 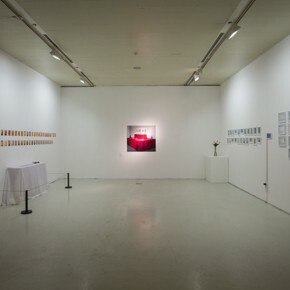 Photo by Quan Jing/CAFA ART INFO.